It’s a day to honor oral storytelling, but since I can’t be with you in person, I’d like to tell you a story here — a story about a North Carolina legend. Most rational people quickly came to Dr. Angelou’s defense and gave me hope that Twitter isn’t just completely a cesspool of the dregs of society. 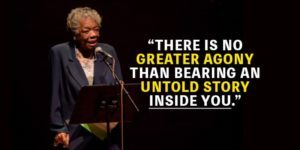 I experienced a similar situation with Dr. Angelou and it sticks with me to this day. In November of 2008, I was hired for a gig by one of those high-volume, stick-to-the-template video production companies that farm out jobs across the country. This job was a short PSA for Random House. When they told me who the talent was, I didn’t believe them. I knew Maya Angelou had a home in Winston-Salem, but I never thought it was an actual house in actual Winston-Salem, but rather in a parallel dimension that a young filmmaker could never access. I pulled up to the gate of a yellow house that was surely state of the art when it was built in the 1960s. 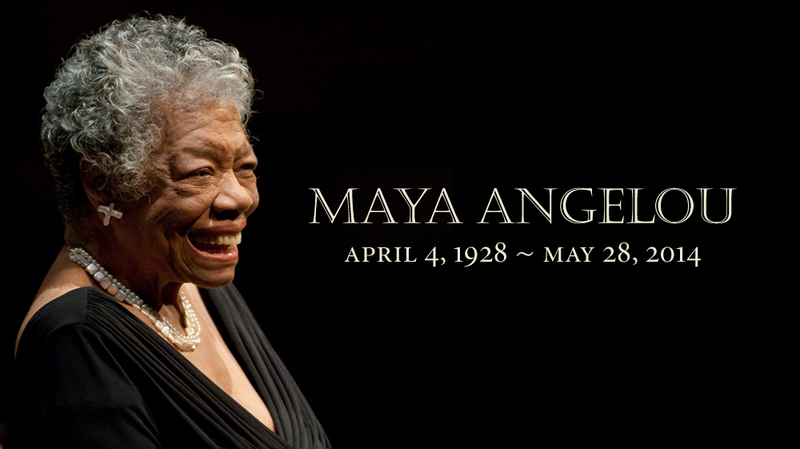 It was modest in 2008’s terms, but I liked that Maya — excuse me, Ms Angelou — stuck with it. Even though it was older, it was fancy and unique. The doors opened for me by a lady who introduced herself as “Rosa.” She seemed to be somewhat of manager or personal assistant to Dr. Angelou, but I could tell that they were more than that. I found out later she was her niece. Rosa showed me the room we’d be shooting the interview in and I started setting up my equipment. 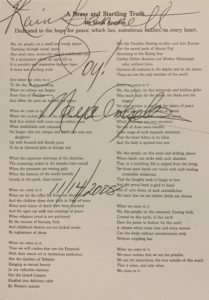 Dr. Angelou entered and introduced herself to me and asked if the room would suffice. I told it would, then I turned to Rosa. “Rosa, is there another outlet close by I could use for my lights?” I asked. That was the end of it. But in that moment, I understood what made her the legend she was. She checked me with such a force that I felt like a child that had been scolded, but she did it with such grace that it softened the blow. She was firm, but polite. Both her confidence and her constitution were unwavering. After that, she asked where I was from. To my surprise, she knew of Little Washington and said that’s why she loved North Carolina — it had the mountains and the coast — but her favorite part of the state was the piedmont because it had access to both. She explained what “piedmont” really meant: “the foot of the mountain.” Although it made complete sense when I broke down the word, I relished in the chance to be educated by her. When we were filming, I told her the script that my client sent for her to read. “No, I’m not going to say that.” she said firmly. I didn’t blame her; it was terrible. Again, she had no tolerance for something not up to her standards. Instead, she looked down, thought for a moment, and delivered three to four unique takes that were in line with the overall theme that Random House wanted. She was a true professional. When I was wrapping up, she wished me a good rest of my day and then said something that I was completely unprepared for. She replied even quicker: “Boy, don’t play with me. You know you look good!” and disappeared out of the room. I smiled, enjoying flirting like any 20-something southern man would. Before I left, she signed a copy of “A Brave and Startling Truth” for me while casually talking about that one time she read a poem at President Clinton’s inauguration. I drove back the hour and twenty minute drive to Chapel Hill in a dumbfounded silence. I couldn’t figure out if what just happened was real. Did she really think I was good looking? Did it really matter? 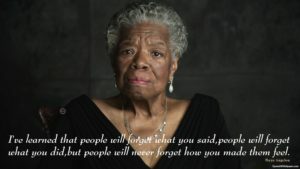 Or did Dr. Angelou just knew how to leave a lasting effect on people? I’m still feeling the effect of our brief meeting over a decade later. Well done!! Love this story!